Located on Sohna Road, Open Tap is the place to go when you’re in the mood for freshly-brewed beer and pepperoni pizza. So, every weekend basically. They have four-five different varieties of wheat beer; you can choose what gets your taste buds tingling after you sample them. 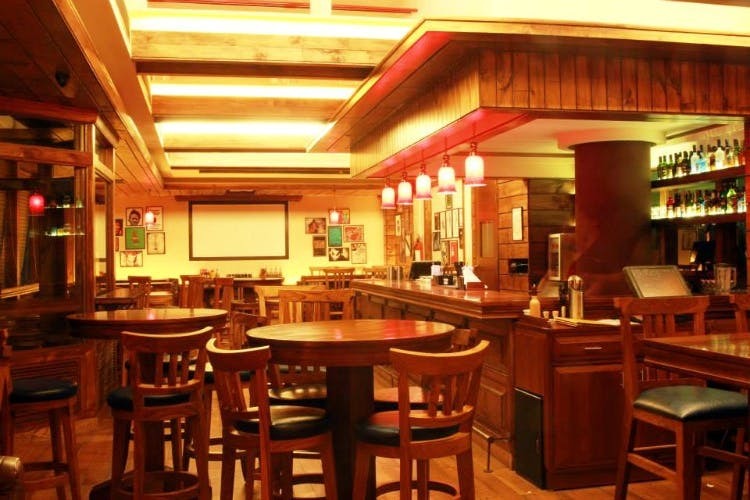 Pints of their freshly-brewed beer are for INR 125, so the booze can keep flowing at Open Tap. The mezze platter and the farmer’s vegetarian pizzas are so good, in case you’re looking to try something other than pepperoni. The service is quick, so you won’t be waiting for your food for too long. There’s always loud music playing, from the early 2000s, so be prepared to get nostalgic about the good ol’ days! Head here with a big group of friends – either after a wild night, or before.